Who doesn't want to catch Santa delivering presents on the night of Christmas Eve? This is a fun and easy project that can be enjoyed by all ages. The main components are a Redboard, a PIR motion sensor, a tilt sensor, and a buzzer. With these you can set up an alarm system that will go off when Santa comes down the chimney, and if his magical powers are too good to get caught by the motion sensor, then he will for sure set off the alarm when he goes to drink out of the cup of milk that you have cleverly hooked up to the tilt sensor. Here is the trap in action, playing an 8-bit version of Jingle Bells as the alarm. 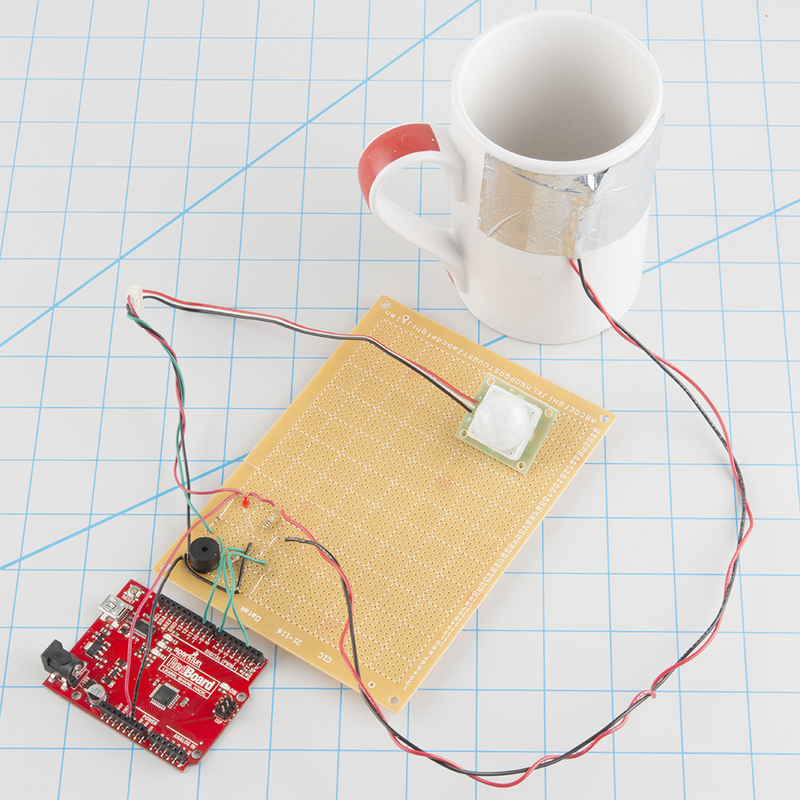 For the full tutorial, with a parts breakdown, a Fritzing diagram, and Arduino code click here. Hope you catch him! The Grinch must have stolen the Tutorial. When I tried to "click here", I got a 404 error.